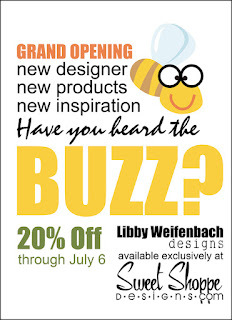 Libby Pritchett Designs: The big day!! I can't believe it's finally here! The moment I've been waiting for! I can finally shout from the rooftops that I AM A SWEET SHOPPE DESIGNER! I started dabbling in designing a couple of months ago, and I was hooked immediately. It took every ounce of courage I had to contact Robin at SSD, and after what seems like forever, it's finally official! After a slight delay last night, the store is finally up and live! Everything is 20% off through tomorrow. So check out my store! 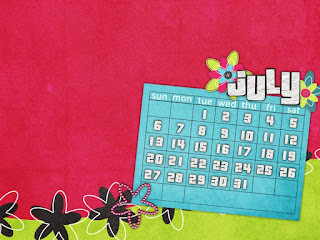 My very sweet friend Chere has created a July Desktop from my brand new Lovely Lady kit as a freebie to celebrate my new store opening! You can download it here! I'll be back to post some product previews and sample layouts ASAP! Gotta go enjoy this high for right now! WOO HOO!!! congrats Libby!!! so excited for you! I am just thrilled to finally see this on your blog :) Best of luck!!! Congrats again Libby!!! SOOO excited!! LOVE LOVE LOVE your stuff!!! Love the desktop, Libby!! I am just so excited for you!! And really, how can I not love someone who shares my daughter's name? LOL. Congrats, girl!! congrats....so excited to see your designs in full view - the peeks were great! Well when you said you had some news coming I would have never guessed you entered the designing arena! You stuff looks fabulous Libby! Big congrats! Congrats!! Sooo very well deserved!! You are great at what you do and totally deserve this! Thank you! Your blog post will be advertised on the DigiFree Digital Scrapbooking Freebie search engine today (look for timestamp: 24 Jul [LA 11:00pm] - 25 Jul [NY 01:00am, UK 06:00am, OZ 04:00pm]).